For us Filipinos, Sundays are best spent with the family. We usually eat lunches together and go to the mall to watch movies or do some shopping. Sundays are also the day wherein it just feel so right to wake up late. 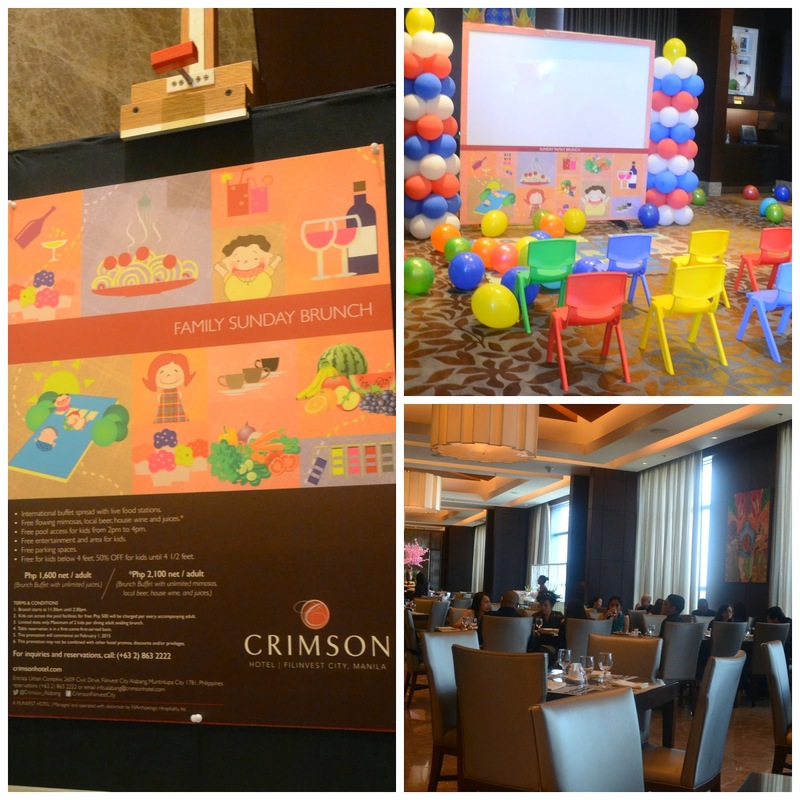 So every Sunday of the month, indulge in a brunch-feast with the whole family at Crimson Hotel Filinvest in Filinvest City, Alabang. Aside from the usual brunch, the hotel also considered the kids (and kids-at-heart) when they thought of the special kiddie corner that features tons of fun (and games) and a special buffet treats that's guaranteed to satisfy even the picky-eaters. 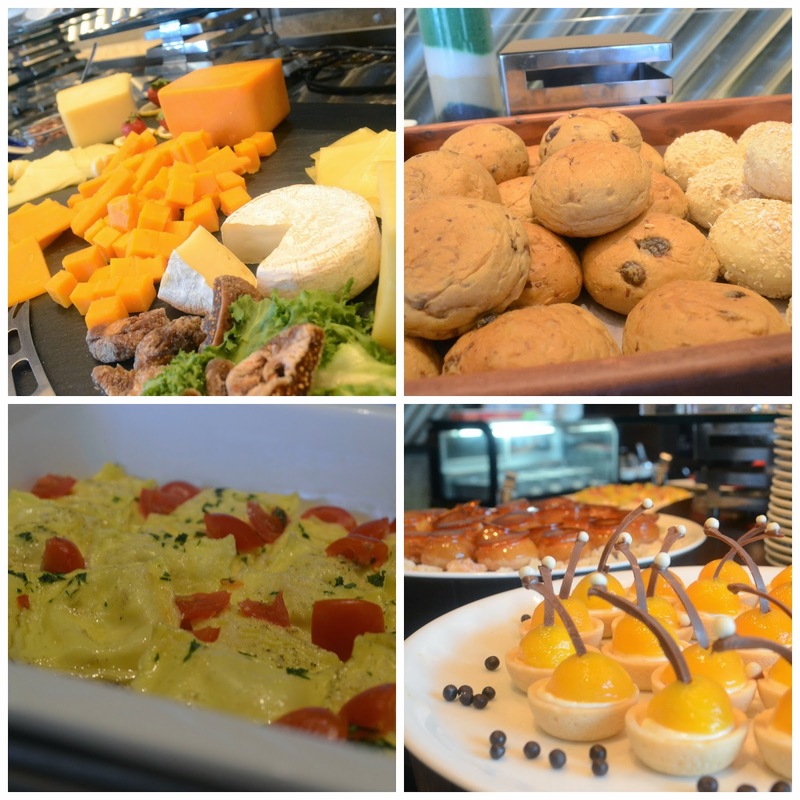 Although the location is perfect for those living in the South of the metropolis, everyone is welcome to enjoy the Sunday Brunch at Crimson Hotel. This is also your chance to see the other amenities that the hotel has to offer. Of course, reserving a room for the family is also encouraged to make the experience much more enjoyable and fun-filled. 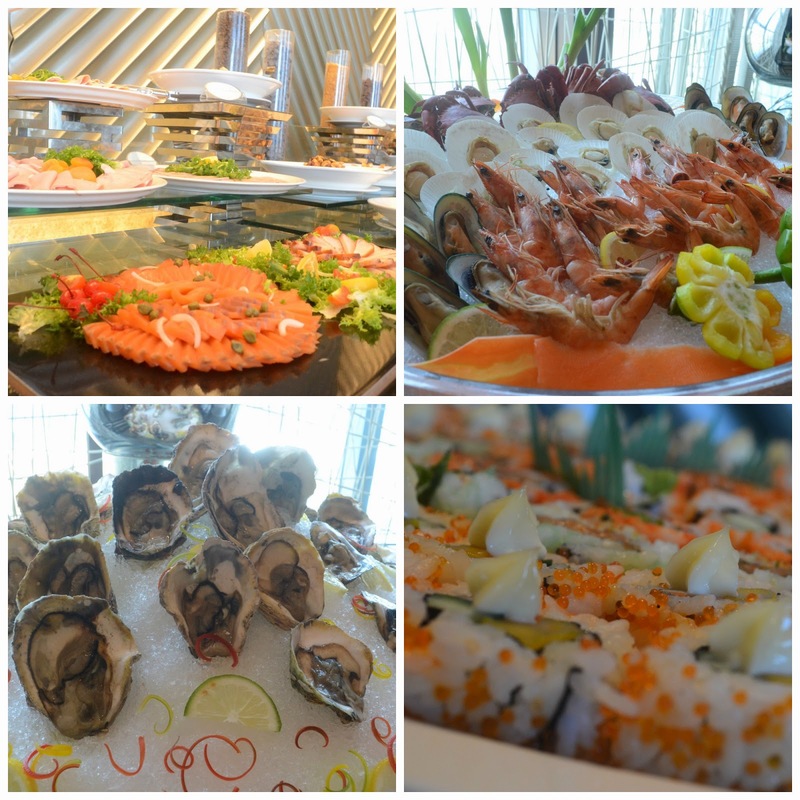 So here are some of the yummy stuff to expect at the Sunday Brunch- there are cold cuts if you prefer something continental, then you can pair it with the numerous bread and cheese choices; then there's the seafood- mouth-watering oysters, shrimps and mussels; and what's a buffet without the Japanese selections of maki and sashimi. See, everything's drool-worthy! 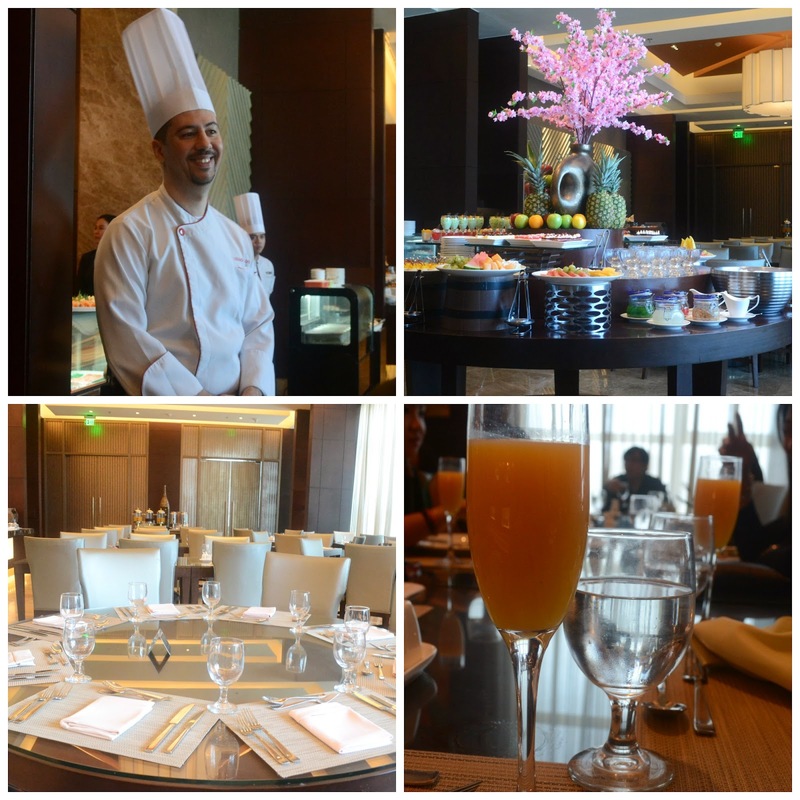 Another highlight of the buffet, is the drink-all-you-can mimosas and cocktail drinks. This is really a cool way for couples to chill while the kids are having fun at the kiddie activity area. Bacon. Life without bacon is sad. I mean, a brunch wouldn't be complete without bacon. 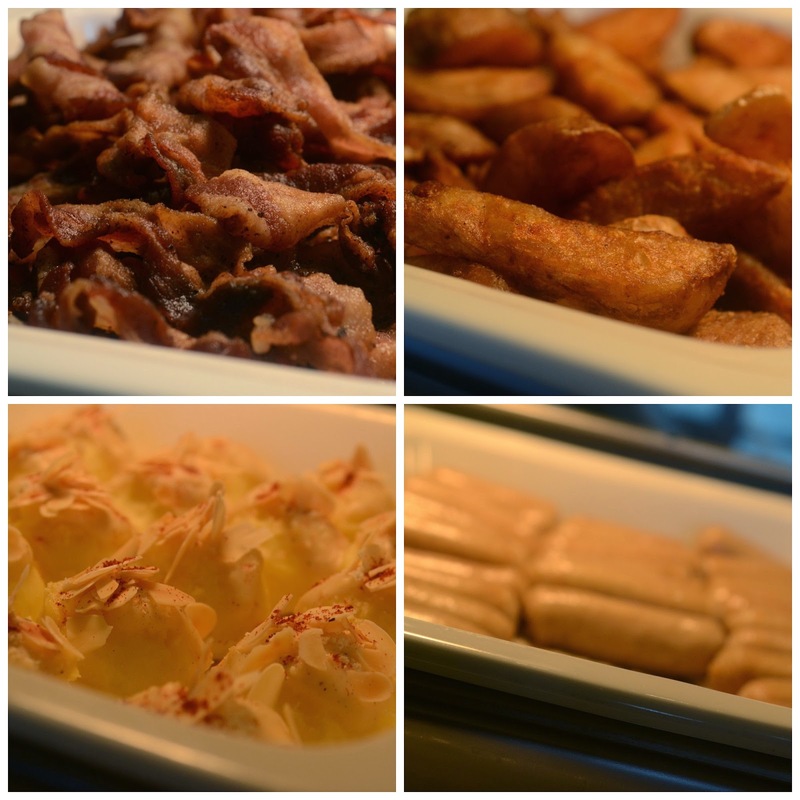 There's also some potatoes (if you want something health-ish), and sausages. There's also pancakes and waffles and an egg-station wherein you get to be creative with your omelette, sunny side-up or scrambled eggs. 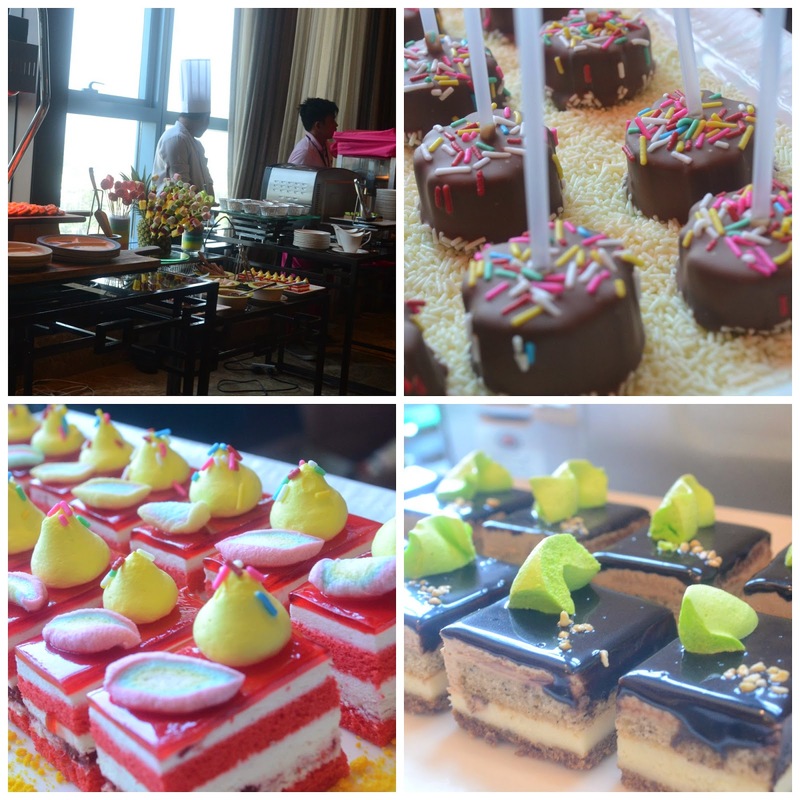 Here are some of the yummy treats from the special kiddie treats. And here's the choices that I love best- cheeses, breads, ravioli (!!! ), and mango tarts. So good! There are other wonderful beef, chicken, pork and vegetable dishes too as well as pasta and salad selections but I believe in the element of surprise and discovery.